CBS Sunday Morning aired a segment over the weekend on Provincetown and its long history as an artist hotspot, a gay destination, and a natural wonder. 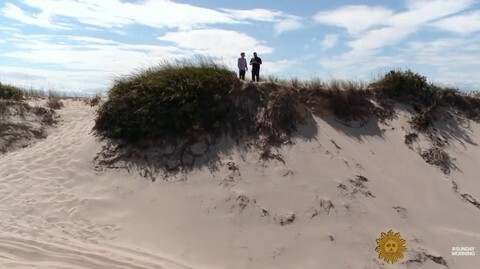 Mo Rocca paid a visit to the “eccentric’s sanctuary” at the end of Cape Cod and made the rounds to its iconic outdoor settings and spoke to a few locals, including Rob Costa of Art’s Dune Tours (above) and the Pulitzer Prize-winning writer Michael Cunningham about why the place is so special. Worth a watch for anyone who loves Ptown and those who have never been.